It’s been 40 years since Louise Brown, the first IVF baby, was born in the United Kingdom. At the time, it was both a miracle and controversial. Now in 2018, it has become a common medical procedure, not just in Britain and the US, but around the world. Now we have reached a new milestone. So what is IVF all about? IVF means in vitro fertilization. In vitro literally means in glass. The eggs and sperm are removed from the body, fertilized in a dish (it’s plastic, not glass though) and returned to the womb. Why has IVF become so common? Because it works. While IVF is not always successful, it is the only fertility treatment that has higher pregnancy rates than those of normal fertile couples. The technology has improved, and as the developing world has become more prosperous, these technologies have spread outside the US and Western Europe. IVF is now largely accessible to infertile couples worldwide. Why do IVF instead of other medical procedures? IVF is not necessarily the first treatment we try. Many patients will conceive with other lower tech ways such as intrauterine insemination or fertility pills and don’t need IVF. Some couples, such as those with damaged fallopian tubes or with very poor quality sperm, cannot conceive without IVF. When is it time to give up on IVF? Any couple who has gone through IVF knows what a rough and wild ride it can be, both physically and emotionally. For that reason, many couples give up on IVF early on, perhaps too early. Why do women drop out of IVF treatment? The reasons why women quite IVF are usually financial, when their insurance coverage or access to funds to pay for treatment run out, or emotional, when the thought of going through another cycle and the prospect of all the drugs, office visits and prospect of disappointment becomes overwhelming. But, what happens to couples who persist and continue to go through IVF treatment cycles? Fertility doctors in Bristol in the UK, sought to answer that question and what they found was encouraging. In their program, 1/3 of patients conceived on the first IVF cycle. In the next 3 cycles (1-4) the pregnancy rate was about 20% per cycle. While the rates were lower in cycles 5 and 6, they were not zero. Pregnancies continue to happen. After 6 cycles of IVF, the cumulative pregnancy rate was 68%. In women between 40 and 42, there were successful pregnancies through the 9th cycle. We've failed a few cycles of IVF. Should we give up? Only you and your partner can answer that question. IVF tends to be more successful on the first round, but successful pregnancies do continue to happen with repeated attempts, sometimes even when it seems futile. Now it turns out that National Health Service in Cambridgeshire will no longer cover IVF treatment in the place where it all began. The UK with its single payer government health system, like all other health systems, has limited funds and been forced to make a decision on where to cut. In Cambridgeshire, coverage for IVF was one of those cuts even though ivf treatment is recommended by the nhs' own guidelines. In the United States, where we have a more fragmented system, some states such as New Jersey where we are located, mandate coverage. While the law remains intact and recently was amended to expand the definition of infertility, health care reform laws such as the Affordable Care Act (ACA, Obamacare) has actually reduced the number of women in our state who are covered for fertility treatment. When faced with multiple mandates, employers and insurers are forced to make decisions where to cut to control their premiums. While there is plenty of talk these days about advocating a single payer government controlled system, it is not clear that such a change will benefit couples with infertility. While some countries with national health care systems do cover IVF and other treatments, it is often the first item on the chopping block when costs are getting out of control. It is certainly the case in Britain. For those who advocate for the availability of treatment of infertile couples, be careful what you wish for. Increased access to medical care does not necessarily mean increaseD access to fertility care. Ready to give up after IVF? It's not time to give up. IVF treatment can be incredibly stressful, even when it is successful. Imagine how difficult IVF can be when it is not? That is likely why so many couples give up after an unsuccessful IVF cycle. According to reasearchers in the UK, almost a third of couples who are not successful at IVF and stop treatment will conceive on their own, although that might take up to 2 years. Surprisingly, many of the couples who did conceive this way were not as thrilled as one might expect. Some couples have moved on in their life situations, and others were felt that maybe they never needed IVF in the first place. Can having a miscarriage increase your chances of having a baby? An unsuccessful IVF cycle can be downright devastating to couples going through fertility treatments, particularly when the cycle results in a miscarriage. Between the guilt, the disappointment and the "if I only had's," many couples leave the experience totally devastated. But are those concerns really warranted? Fertility specialists have known for years that women who miscarry, are actually more likely to have a baby, even though most patients are a understandably somewhat skeptical about this. To look further into this fertility specialists at the University of Aberdeen in Scotland looked at well over 100,000 IVF treatment cycles performed between 1999 and 2008. They were particularly interested in women who had a first cycle at that was unsuccessful, whether that was there was a miscarriage or no pregnancy at all. What they found was not surprising considering what we already know. Women who had miscarried had a higher 49% chance of livebirth in the subsequent IVF cycle as compared to only a 30.1% chance had the first cycle not resulted in a pregnancy. Don't be in a rush to give up. Lots of women conceive on subsequent cycles. Having a miscarriage from IVF, and likely from other treatments, means you are more likely to have a baby, not less likely. 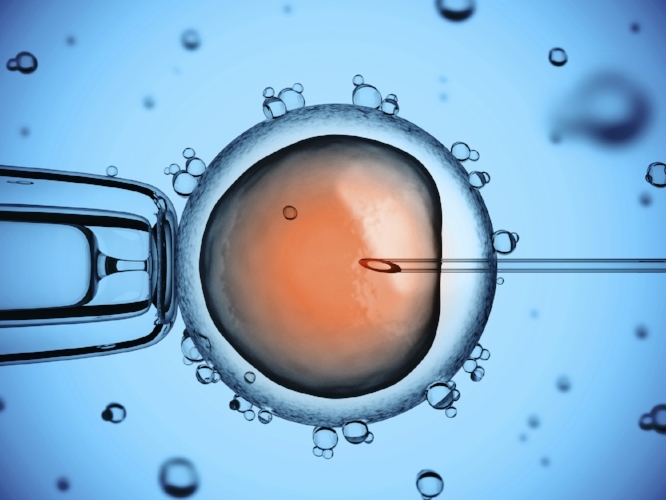 Several months back, we reported in our blog that the authorities that regulate IVF and other fertility procedures in the UK were considering allowing IVF with mitochondrial transfer to move forward. Mitochondrial transfer is more popularly known as "three parent IVF," because it involves three genetic parents: the woman who provides her chromosomes, the husband who provides his chromosomes and the donor who provides the mitochondria which contain their own DNA. The HFEA in the UK has now given the green light for tightly regulated research to proceed on mitochondrial transfer. So, now it is likely that fertility researchers in Britain will move forward and learn whether this technique can help couples with mitochondrial diseases.